Maintaining a naturally beautiful smile can be a significant challenge when you’re missing a tooth. Whether you’ve lost a tooth due to an injury, periodontal disease or a failed root canal, Dr. Reem Kidess, DDS and her talented team in Phoenix can provide dental implants to restore your smile again. Dr. Kidess’s dental practice in the Phoenix area can replace a single missing tooth, or provide multiple teeth implants to fix your smile. This is ideal for patients who want to avoid the discomfort, hassle and maintenance of dentures, partial dentures, and bridges. 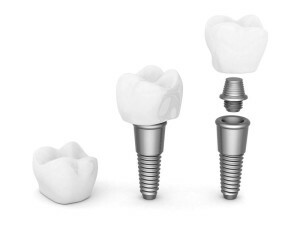 Dr. Kidess’s dental implants are made with titanium roots, which ensure a snug and precise fit within the extraction site. Don’t let a missing tooth keep you from smiling. Let Dr. Kidess restore your beautiful smile again with natural-looking teeth implants in Phoenix.